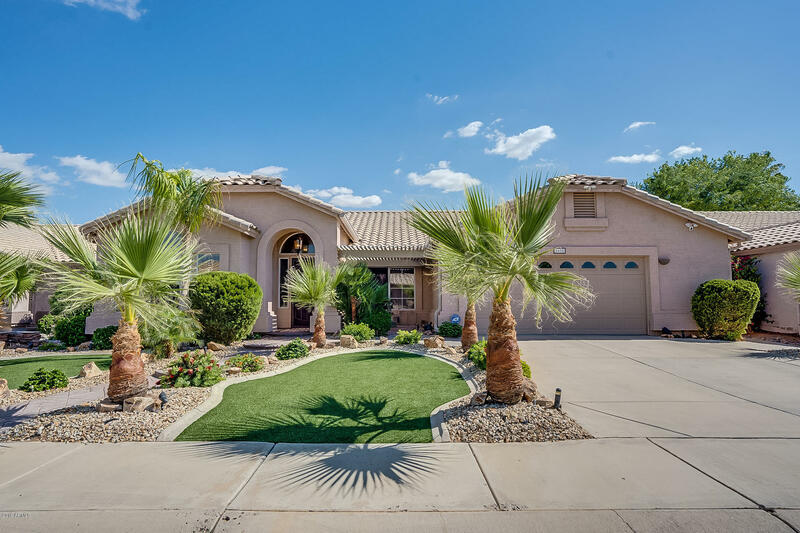 All EL DORADO LAKES GOLF COMM homes currently listed for sale in Gilbert as of 04/22/2019 are shown below. You can change the search criteria at any time by pressing the 'Change Search' button below. "This is such a beautiful home filled with a lot of character! 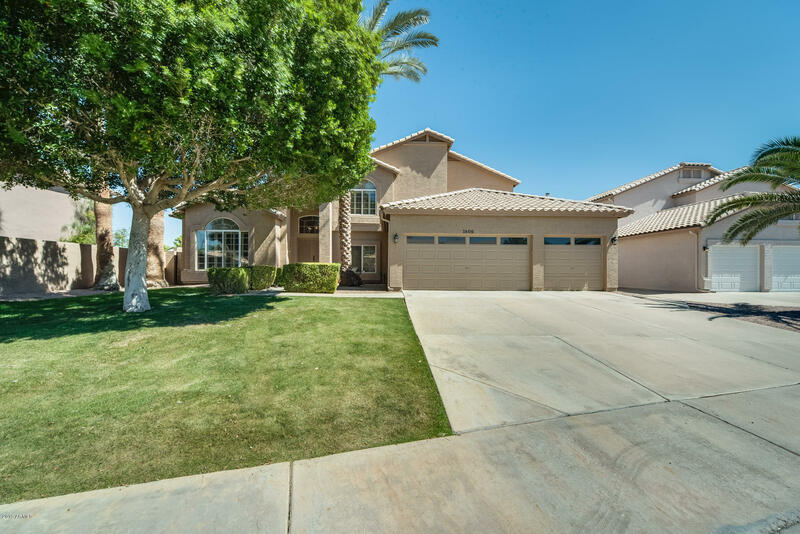 5 bed, 3 bath tr-level home located in El Dorado Lakes, a golf course community with lush greenbelts and lovely walking paths. The split floor plan carries an open concept, making it seamless to entertain your friends and family. Each room basks in excellent natural lighting. The living room has beautiful wood laminate flooring and large windows. Inside your master suite, sit back and relax in your private reading nook. 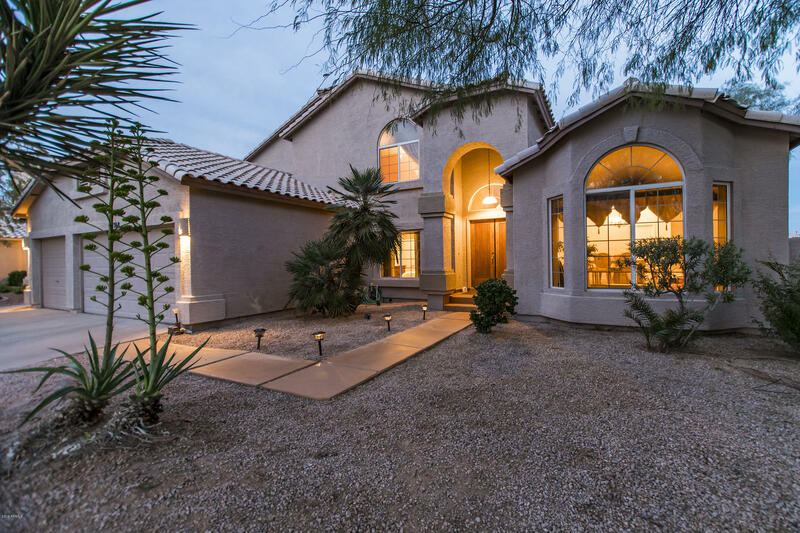 The other bedr"
"Nestled on a private golf course lot this home is incredible! Outback, you'll love the views, low maintenance landscaping and sparkling diving pool! Inside you'll find an open and bright floor plan with downstairs guest suite, complete with walk-in closet, den plus full bath. Den could easily be used as a bedroom. Upstairs you'll find 3 HUGE bedrooms. The master bedroom is a true retreat with a private balcony, a great place to sit and enjoy the views! Popular floor plan with new plank flooring!" 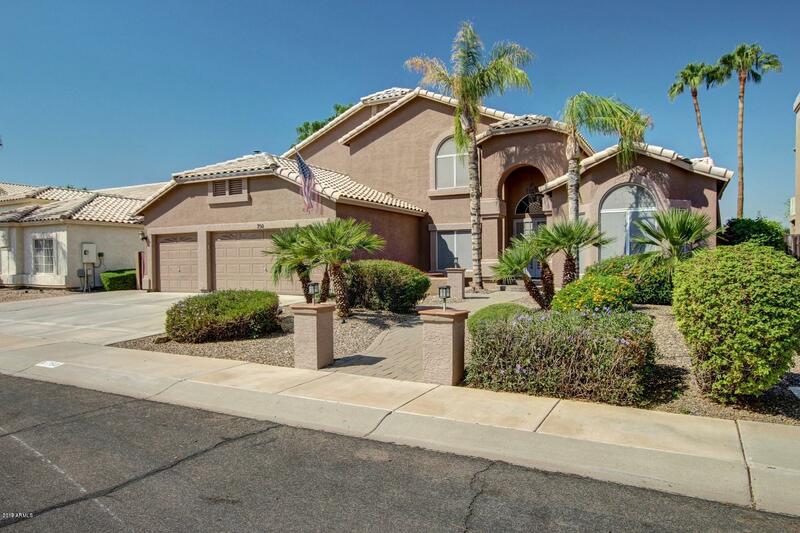 "A single story in highly desired El Dorado Lakes Golf Community! This home has beautiful curb appeal with lush front yard tropical landscape, low maintenance turf, and flagstone walkway to the front door. The backyard is just as amazing with pebbletec water feature pool, spa, patio with surround sound, pergola with built in BBQ, palm trees and lush landscaping. 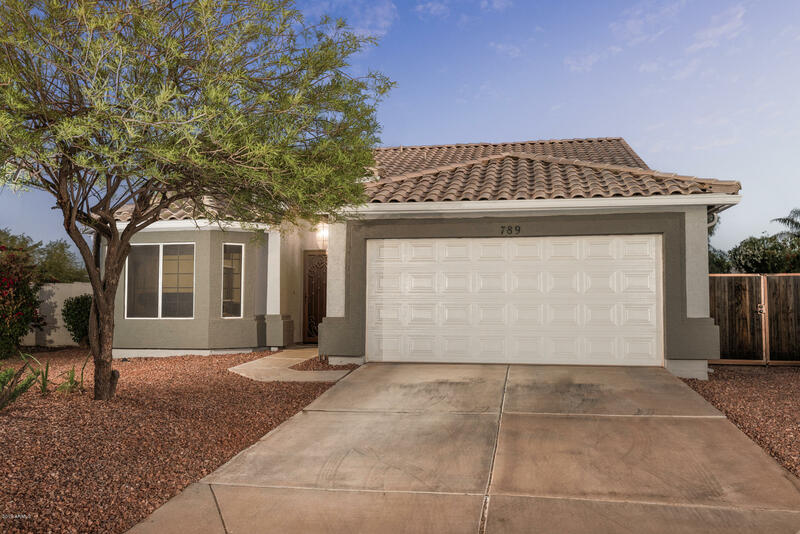 Inside you'll find a split floor plan, updated light and fan fixtures, surround sound speakers, new stainless steel appliances and white"
"Check out this beautifully maintained home in North Gilbert! 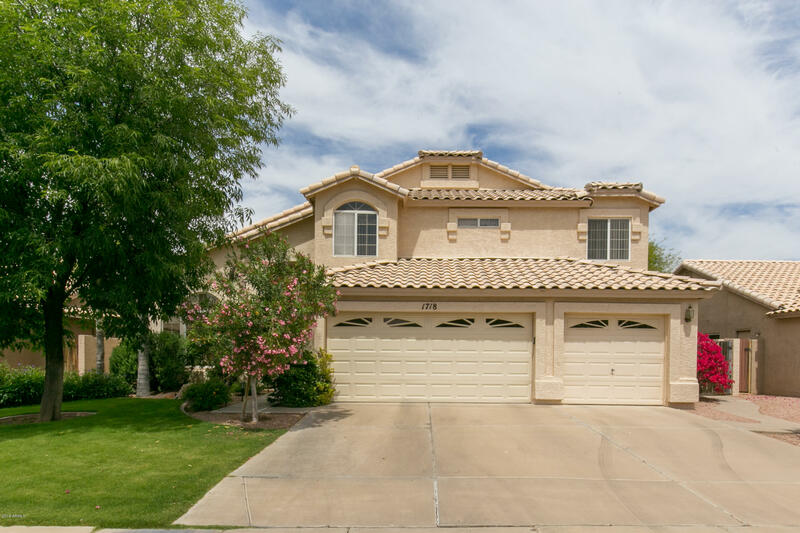 This home has many so many features including an abundance of natural lighting, vaulted ceilings, ample amount of kitchen cabinets/countertop space, all white appliances, guest bathroom with dual sinks and tons of countertop space/cabinets as well! Upstairs you will find the oversized master bedroom suite also featuring: his and her sinks with built-in vanities, large soaking tub and walk-in closet! Step outside into the lush mature an"
"Wonderful single level home in El Dorado Lakes Golf Community, situated on large cul-de-sac lot including gated pool and large grass area. An open floor plan with vaulted ceilings makes this a spacious home and great for entertaining. The island kitchen features granite countertops and opens to family room with sliding glass door to covered patio. Two master closets is a nice bonus! Recent upgrades include new wood like tile, carpet, baseboards, bath fixtures, and lighting, all done around 2016."